A lot of positives and a more complete effort, but some costly errors resulted in the 2nd loss of the road trip, this time in regulation by a 5-2 score. Frustrating in some ways as a couple of simple errors really hurt the Kings tonight and took away from an overall decent game. By no means ‘great’, but certainly better from Friday’s effort. I thought the Kings did well keeping a lot of Salmon Arm chances to the outside and in the first period despite Salmon Arm outchancing the Kings in quantity, the Kings had better quality. Much like Friday vs Trail at home, Stefan Wornig and the Kings D started slowly. The first couple of goals in the 1st period were a little soft defensively, but following that things really tightened up. Wornig in particular showed a marked improvement from minute zero to sixty with a lot of puck handling issues early turning into some good kick saves and a sharp glove after the opening 10-12 minutes. In that 1st period, you can pretty much pigeon hole the struggles in between minutes 7 and 13…outside that the Kings were quite good. Into the 2nd and every chance the Kings had at momentum was not taken advantage of. Tristan Mullin scores a beauty but the Kings don’t build on it. Liam Lawson snipes another goal and the Kings conceded not long after. Missed opportunities to take control of the game and gain a lead, but the fact that the Kings generated those goals is a positive. 5 goals, 2 assists for 7 points. That’s Tristan Mullin over the last 4 games. He says he doesn’t feel any additional responsibility trying to make up for Kyle Betts and Carter Turnbull’s absence, but he’s certainly lifted. He’s 7-2-9 in December’s 6 games as well. This from a player who surprisingly can be very very quiet through stretches. It’s not that’s he’s not doing anything, it’s just that he might not make much noise when he’s out there. However he’s got that extra switch and gear to jump to. 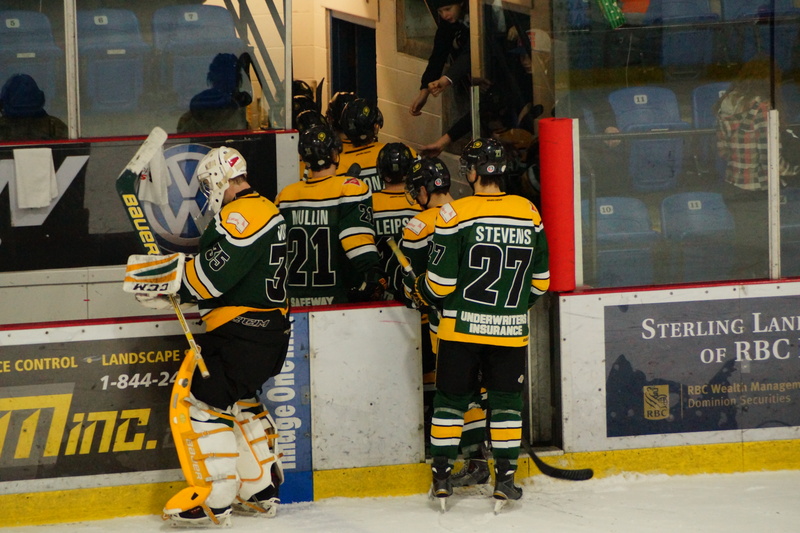 The Kings wrap their 3-in-3 road trip and the pre-Christmas schedule at 2:00pm in Vernon against the Vipers. 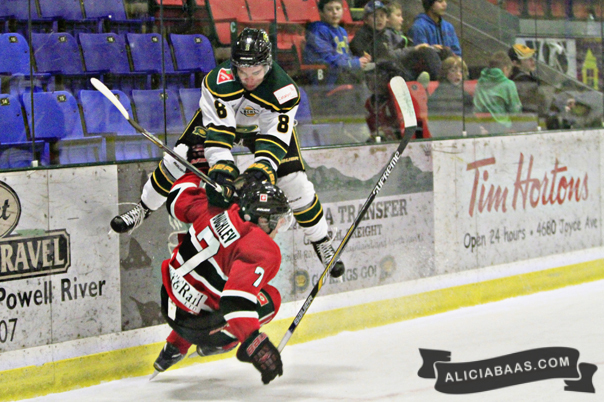 The Kings bumped a 2-game slide with a 4-3 win over the Merritt Centennials on Sunday afternoon. The Kings got out to a 3-0 and 4-1 lead before a late Merritt push made the final stages very interesting. The Kings are 2-2 in December with 5 games remaining. 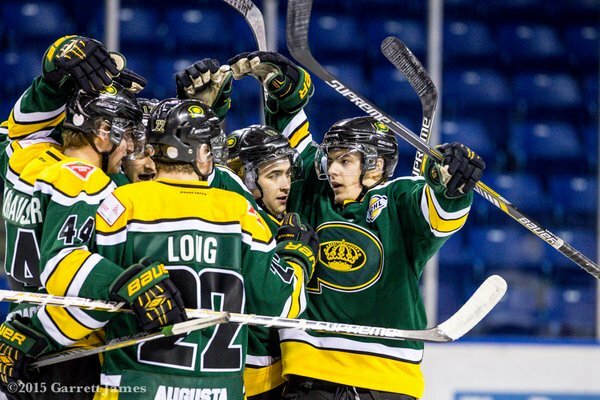 Langley are coming off a Saturday/Sunday double header last weekend, dropping a 7-4 game at home to Vernon then tying Surrey 3-3. They are 1-1-1 in December. 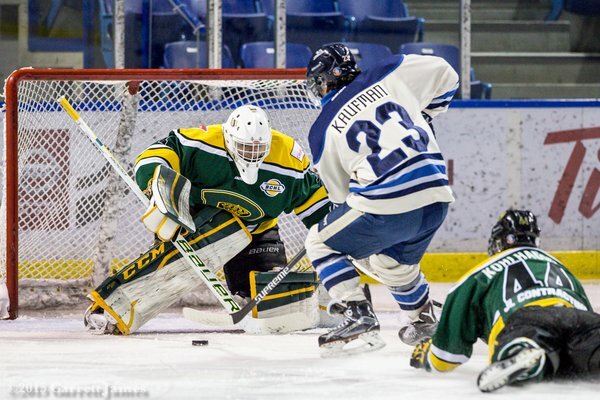 Crucial weekend for the team as they make up 1 game against both Cowichan and Nanaimo. The Kings are 2 back of Cowichan with 3 in hand and can overtake them with a successful weekend and/or some out of town help. Nanaimo will finish top of the Division heading into Christmas, but the Kings can close the game just a bit heading into a double header in Powell River at the start of January. 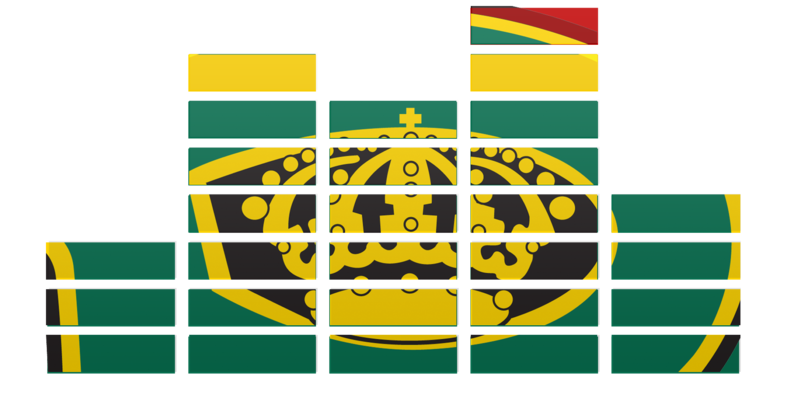 Kings 8-0-0-1 against the Mainland Division this year. The team has swept the season series against both Wenatchee and Prince George, recorded 2 victories against Coquitlam (1 at the Showcase), beaten Surrey at the Showcase and Langley in Powell River in November. Chilliwack got a 4-3 OT win in November to dent the record slightly. We talked a lot about 1st period scoring on Sunday. 18-6 at home through 20 minutes are the Kings this season. On the road, 15-14…an advantage but a small one. Quick starts still the key for this team…it’s also one that likes to play with the lead early. Short benches tonight from regulars. Justin Fregona and Bo Didur from Langley, along with Kyle Betts and Carter Turnbull all getting set to play for Gold on Saturday and won’t be in action tonight, nor until the Christmas break. The broadcast goes live on 95.7 Coast FM in Powell River at 6:55pm. It will also be online on the Kings Broadcast Network and FastHockey PPV. In the 1st intermission, we’ll have chats with Tristan Mullin, Nick Nonis and Chris Protopoulos. In the 2nd break, from TSN Radio, a chat with alumni goalie Sean Maguire. Brock Sawyer will join us in the post-game show. Three Things returns with a look back at the final pair of games during a 6-game stint at the Hap Parker Arena. Also, Alex Rawnsley previews 3 games in 2 and a half days through the lower Mainland and Interior of BC. Two recaps in one due to a busy Saturday personally for me. After a focus was put on the physical side of the game, or lack thereof, from Sunday’s loss to Victoria, the Kings failed to find the edge required and fell for the 2nd straight year against the Smokies on home ice, this one a 4-2 decision on Friday night. Before the game on Friday, Kent Lewis commented to me in the pre-game show that he needed to see hit counts rise and a physical edge from his hockey club moving forward. He stated that a few played only registered 3 hits in Sunday’s game against Victoria, which he was openly disappointed with. Despite that focal point before the game, the Kings failed to really generate the desired level of ‘edge’, and ultimately lost out on that side of the contest. Nick Nonis scores his 1st of the year and becomes the final King to notch a goal this season. This obviously excludes the goaltenders Jeff Smith and Stefan Wornig, a clarification necessary following a note (jokingly) from one fan after my tweet on Saturday. Through much of this season, both Smith and Wornig have been very good stopping goals, but if they want to start scoring them, they are most welcome. A 3-2 deficit late in the 3rd looked set to wind up the final score, but Tristan Mullin made things real interesting in the stretch. With the net empty, he went upstairs on Smokies goaltender Bailey MacBurnie, scoring his 14th of the year. Unfortunately gamble number 2 (by pulling Wornig again) failed to yield an equalizer. On Mullin, I’m going to spend some time this week going through his goals and seeing how many have been 3rd period markers. On nights where he isn’t the most visible on the ice through 40, as I thought was the case at points on Friday, he finds another gear and ends up dominating in the 3rd. On Wornig, 3 goals against isn’t flattering with two coming early in the 1st period, but I thought he battled real well on Friday night. It was his first game action (in the BCHL) since November 1st, with only practice time and Canada West camp in between. You look at the 3 that got past him and you don’t point the finger at the goaltender squarely. The Kings weren’t great picking up guys in their own zone in the 1st period and we saw a lot of 2-on-1’s, guys left in front of the net and as the case of the 2nd and 3rd goals, guys alone in the slot. In the 2nd and 3rd, Wornig kicked a lot away. Saturday rolled around and so did another Coastal winter storm which meant a short trip up Island and Merritt’s attempts to beat the storm resulted in the visitors leaving their hotel at 4am, arriving in Powell River at 6:00pm for a 7:15pm game. The Kings jumped on them early, then held on for a 4-3 win. Better jump, better start and better physicality from the Kings off the hop. Why? I’m sure Merritt’s lack of preparation had something to do with it, but there was a better sense of urgency from Powell River and it showed with a goal inside the opening 3 minutes through Tristan Mullin, who doubled up his game tally midway through the 1st. 2-0 through 20. 4-2 through 40 with the big blemish being a goal with 7 seconds to go in the frame. It was a goal that really should have happened with the Kings and Centennials perfectly happy to see the clock expire, the Kings started one more rush and a turnover wound up in the back of the net giving the visitors life, chasing only 2 in the 3rd instead of a more insurmountable 3. Despite a late one from Nick Fidanza on a nice setup from Gavin Gould, the Kings literally held on. The 3rd wasn’t pretty, but it was enough and it is two points. The pressure from Merritt was excellent late considering how tired the legs must have been and how little true rest the team got the night prior after a bit of a barn burner in Nanaimo. In response to the theme of Friday’s recap, the physicality was much better from the Kings who finished checks, jostled for position and out skated Merritt through a lot of the game. Gavin Rauser led the way, Chris Protopoulos had one of his better games in Powell River colours while Austin Kamer generated chances and Nick Halagian continued to be Nick Halagian. With the win, the Kings move up into a share of 2nd in the Island Division standings with the Cowichan Valley Capitals, who play Sunday against Trail. At the close of the weekend, the Kings will be either level or up to two points back of the Caps, but with two games in hand. 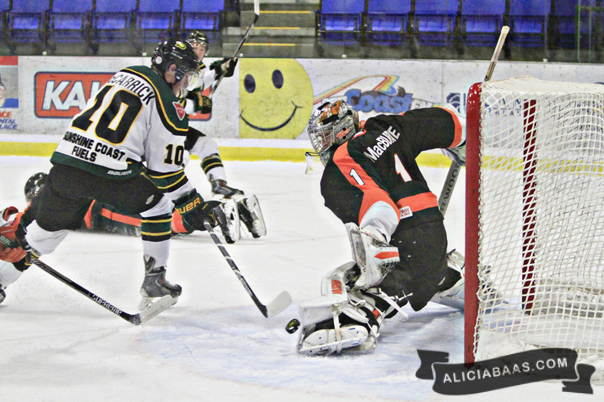 The Clippers lead the Division but had their 10 game streak snapped Saturday against West Kelowna. They’re 8 points up but the Kings have 3 in hand and that’ll move up to 4 games before Powell River plays again. The Kings hit the road to wrap the pre-Christmas schedule, visiting Langley, Salmon Arm and Vernon beginning Friday night.